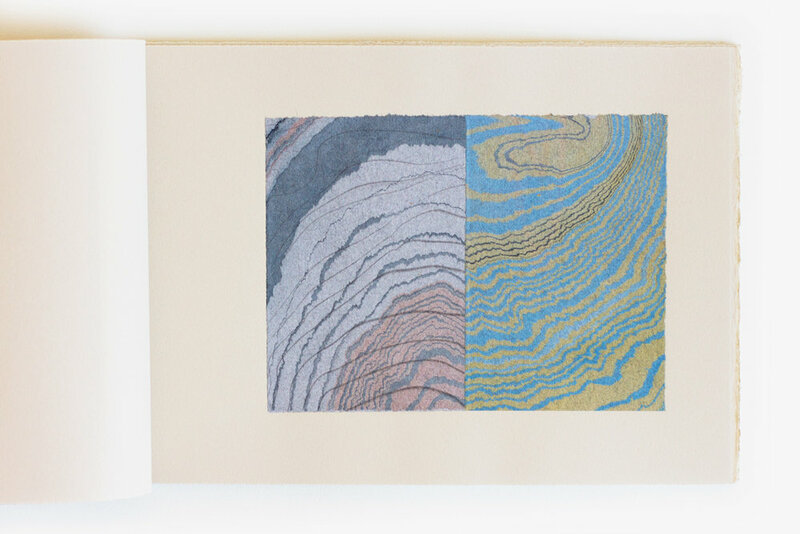 Three unique state artist books featuring colour suminagashi on handmade paper. 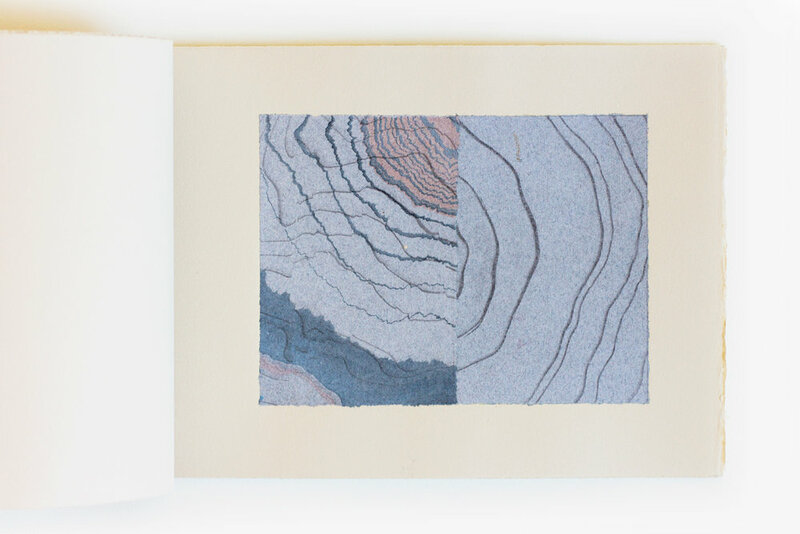 Series of 3, the monoprints are mounted on 250gsm Somerset Newsprint. Handbound using four-hole stab binding. 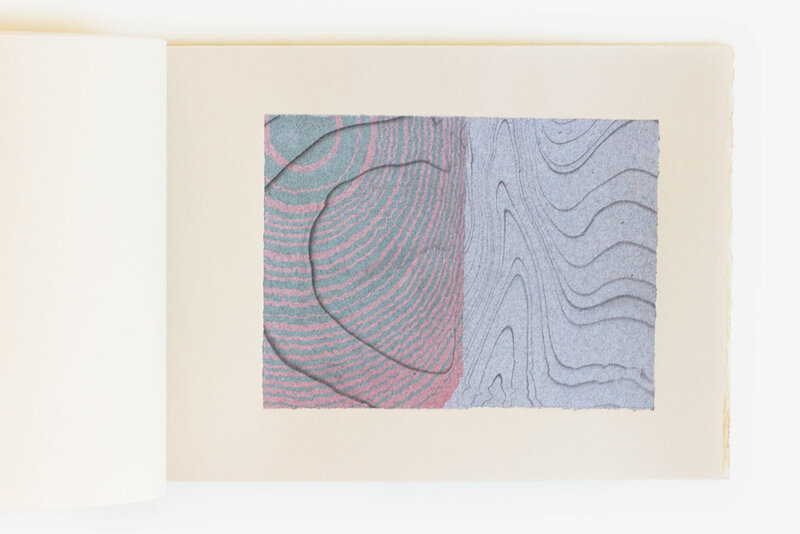 Presented at the 6th artists' books + multiples fair at the Queensland College of Art.